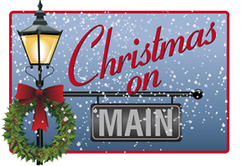 Christmas On Main is presented by the New Holland Business Association. If you would like to learn more about the association, please visit the NHBA website. We would like your feedback so we can continually improve this important event. Please contact us after the celebration with your comments. For information on the Christmas Market, contact Carol Stark at starks@dejazzd.com or 717-859-3237.